Alternative treatments, such as aromatherapy, are now offered in therapeutic practices, including massage centers, yoga studios and spas, even hospice settings and chiropractic offices. So what is aromatherapy, exactly? Aromatherapy essential oils are made using dozens of different medicinal plants, flowers, herbs, roots and trees grown all over the world — which have proven, powerful effects on improving physical, emotional and spiritual well-being. Today, you’re likely to find over 40 different therapeutic-grade aromatherapy oils available in health food stores and online (although many more than this exist). Some popular aromatic oils you might recognize include tea tree, lavender and peppermint oil, used in everything from toothpaste to laundry detergent. A growing pool of both human and animal studies has shown that aromatherapy oils can have both sedative and stimulant effects, plus positive effects on the immune system and central nervous system. Recently, studies conducted using functional imaging scans have showed that fragrant aromatherapy oils have positive effects on the primitive region in the brain called the limbic system, which helps control both emotional responses and behaviors. Many studies have shown that certain essential oils used in aromatherapy practices, including lavender and chamomile, can help people who feel stressed or anxious to relax . (2) The scent of lavender is believed to have a practically universal calming effect that lowers activation of the sympathetic nervous system, responsible for the fight or flight response and physical symptoms, such as sweaty palms or a racing heart. Research shows that using citrus oils in aromatherapy practices can help improve overall immune function and reduce fatigue associated with depressive states. It’s been found that aromatic oils, such as orange and lemon (those with a citrus fragrance), can restore stress-induced immunosuppression and help restore homeostatic balance. Essential oils for depression and citrus oils are also beneficial for improving mental health by stimulation of the sensory system called the “olfactory system,” which controls one’s sense of smell. Other than diffusing oils in your home, you can inhale aromatic oils directly from the bottle or rub some directly onto your chest or neck so you can breath in the particles. There are some great essential oils for allergies and essential oils for sore throat and other respiratory problems. Essential oils that can help you overcome sinus infections, allergies, colds, the flu or coughs, and fatigue include eucalyptus, peppermint, frankincense, rosemary, myrrh, lemon, oregano and tea tree. Other aromatherapy oils for skin (including essential oils for acne) include lavender, clary sage, juniper berry, lemon, orange, helichrysum and frankincense. To make a homemade aromatherapy oil spritzer that you can spray into the troubled area of your skin, add 10–20 drops of oil to a spray bottle containing about four ounces of water. One study published in the American Journal of Hospice and Palliative Care found that aromatherapy helped hospice patients decrease pain, anxiety and depression, and promote an increased sense of well-being. (6) The study measured the responses of 17 cancer hospice patients to humidified lavender essential oil used in 60-minute aromatherapy sessions. Following aromatherapy sessions, results reflected a positive change in blood pressure and pulse, along with reduced symptoms of pain and emotional upset. An International Journal of Neuroscience study involving 40 patients experiencing depressed moods and mental fatigue found that aromatherapy positively affects alertness, competency on testing (in this case regarding math problems) and improves overall mood. Forty adults were given three minutes of aromatherapy either using one of two aromas, lavender (considered a relaxing odor) or rosemary (considered a stimulating odor). Participants completed math computations and surveys regarding their mood before and after the therapy. Aromatherapy has a long history of use for improving libido, raising energy through increased blood flow and treating sexual dysfunctions. Popular aromatherapy oils for improving hormonal balance, “feminine power” and sexual health include clary sage, sandalwood, rosemary, geranium, ylang ylgang and neroli. A 2015 study published in the Journal of Basic Physiology and Pharmacology found that turmeric (Curcuma longa) and ginger (Zingiber officianale) essential oils, which are widely used in Asian countries as traditional medicine and food ingredients, have strong gastroprotective activities, including anti-ulcer potential. For thousands of years, aromatherapy essential oils have been an important part of self-care and medicinal practices — used as perfumes, tonics, cleansers, wound salves and more. Records show that some of the earliest civilizations to adopt the use of aromatherapy include the ancient Chinese, Indians, Egyptians, Greeks and Romans. Over 2,500 years ago, Hippocrates recommended aromatic baths for overall well-being and health prevention. In the year 100 A.D., the famous philosopher Dioscorides mentioned aromatic oils in some of his writings, including cardamon, cinnamon, myrrh, basil, fennel, frankincense, juniper, pine, rose, rosemary and thyme. Aromatherapy oils were used by ancient Egyptian priests during religious ceremonies and also as antiseptic agents. Starting in the late 1800s, researchers began using botanical extracts in studies, publishing their reports in respected medical journals. French and German medical professors started using aromatherapy to fight diseases like tuberculosis and infected wounds. In the early 19th century, essential oils began being used in western medicine practices. Doctors started isolating the active principles of plants (identified as “active ingredient”) to use them in making prescription medications. French soldiers returning home from World War I were treated with aromatherapy oils to heal wounds, treat anxiety and lower depression. Aromatherapy made its way to the U.S. around 1980s. Today, sales of aromatherapy lotions, candles, oils and fragrances are higher than ever before. 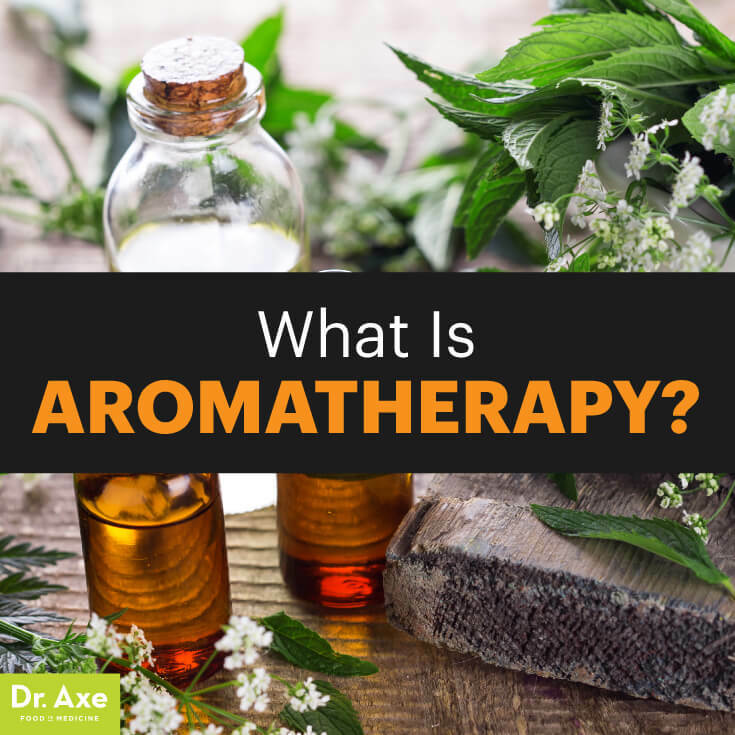 There are a number of different organizations that now train and certify professional aromatherapists, including the Aromatherapy Registration Council (ARC). ARC was created after the Purdue initiative and the Steering Committee on Education Standards in Aromatherapy joined forces. The goal is to overcome lack of education standards in the aromatherapy industry, promote safe practices, and encourage the FDA to protect public safety and use of essential oils. Although it depends on the exact program and curriculum, aromatherapy certification usually involves completing at least 30–200 hours of training and passing an exam, such as the ARC exam. Many training programs also require supervised hours working with patients. The National Association for Holistic Aromatherapy offers resources on its website to locate a qualified aromatherapist in your area. Depending on a person’s specific medical history, allergies or level of sensitivity, certain types of aromatherapy oils are not recommended. Most essential oils should be kept away from infants and children, unless otherwise noted. If you’re pregnant or breast-feeding, always make sure that any essential oil you use for aromatherapy is safe and won’t pose any risk (many do). In general, only use oils internally when you know for sure they’re completely pure and you have no medical condition requiring that you take medications that can interact with oils. Using aromatherapy oils internally can sometimes be toxic and very harmful, so do your research and ask a professional for an opinion if you ever have any concerns or questions. Always start with the lowest dose possible. If you have sensitive skin and want to use aromatherapy oils topically, make sure to always dilute oils with a carrier before applying them to your skin, looking out for symptoms, such as a rash, redness or swelling (especially when in the sun). Photosensitive essential oils include bergamot, lemon, lime, bitter orange and angelica root. Citrus oils and oils with menthol (including peppermint) can irritate sensitive skin, so use these carefully and perform a patch test first. Complementary/alternative medicine practices, including aromatherapy using essential oils, have become increasingly popular in recent decades, although essential oils have been used for centuries. Aromatherapy works by utilizing aromatic oils that contain many different active components. There are antiseptic, antifungal, anti-inflammatory and antibacterial essential oils. 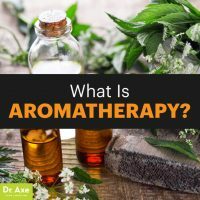 What is aromatherapy used for? Benefits and popular uses of aromatherapy include reducing anxiety and depression, colds and coughs, fatigue, pain, PMS, menopause symptoms, nausea, ulcers or indigestion, and arthritis joint pain. There are also anti-aging essential oils and essential oils for weight loss, so if someone asks you what is aromatherapy useful for, there is no shortage of ways to respond.